Jackson Maine (Bradley Cooper) is a world famous rock singer but whose career is perched to crash-land. Years of loud music without using ear defenders is rendering him increasingly deaf and a decade of hard drinking and drug taking is slowly killing him from the inside out. One boozy night, he happens upon a drag review bar, one in which talented female singer Ally (Lady GaGa) frequently takes part. Transfixed, Maine sweeps her off her feet and gives her a footing on the musical fame ladder. She soon catapults to stardom alongside hims, but Jack’s hedonistic binges and jealousy consume him and threaten their love as she increasingly goes solo. Will love be enough to keep them together as the bright lights of fame get ever brighter? 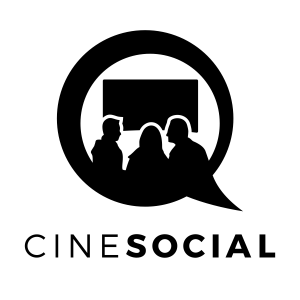 The fifth version of the classic show business tale of the seesaw of celebrity proves there is still mileage left in an old hat yarn, more than 80 years after the release of the original Janet Gaynor/Fredric March version. 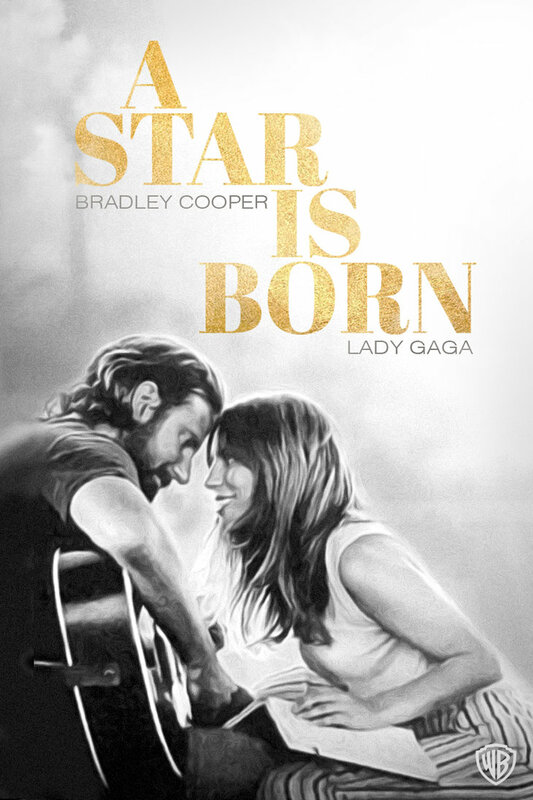 Overall, this is a stunning, beautifully sung (and scored), attention grabbing picture and, despite the obvious similarities to the other movies, that it feels different is testament to the directing of Cooper (his behind the camera debut – impressive), and his and co-star Lady Gaga’s (her first motion picture – hugely impressive) swooning chemistry. It’s not often in cinema history you witness perfect movie couplings. Garbo and Gilbert throbbed on the silent screen. Gaynor rubbed along nicely with Charles Farrell in a series of box office hits during the late 30’s and 1930’s. And then came Myrna Loy and William Powell, Errol Flynn and Olivia de Havilland and Spencer Tracy and Katherine Hepburn. But in modern cinema, screen duos appear more like callow cash cows paraded before baying audiences.They go through the emotions and eye each other with the practiced boredom of box office champs who can’t wait to get away and hit the pool. (And if you need examples of stilted screen love, check out any films starring Tom Cruise, Russel Crowe or any one of a hundred other ‘actorly’ types of the past three decades). Bradley Cooper and Lady Gaga star as Jack and Ally in A Star is Born (2018). Image: Warner Bros. But here we are, Bradley Cooper going gaga for the Lady, the prancing, psychedelic, Princess of pop. And both of them seriously hit the mark. Cooper, in particular, lingers in the memory as a modern era method actor. With his ruddy face, bloodshot eyes and voice so deep and rumbling it could register on the Richtoscale, he is the embodiment of the career wreckhead. Gaga is a spiky, punchy co-star. Quite literally in her better early scenes; she and Cooper fall into a bar frequented by policeman. When one of them arrogantly casts her aside for a photo with a politely reluctant Cooper, she swiftly punched the copper on the nose. Her character’s ambition and pushiness are hammered into your consciousness, but this Lady need not try too hard there. Gaga is famous not only for her great vocals, but by being a shamelessly self-promoting show off. Hr off-screen personality is so obviously used to clone the character of Ally that it gets irksome and almost desperate. It’s these eye-waveringly awful moments when Ally is on her own that the film almost collapses with the wight of her pretentious. It lapses into egregious, self-loving aneurism that almost had me walking out of the cinema in disgust. Jack and Maine’s romance is carefully, tenderly constructed during the film’s first few scenes. But then Ally takes to the stage for the ‘first’ time. Except, it clearly isn’t the first time. For a young woman, so shy she hasn’t tread farther than the confines of the nurturing transvestite review bar, she all too quickly blooms into a stage goddess. Likewise when she takes her ‘first’ ever dance lessons and nails down the moves and hair swishing within the first few minutes. A star…rehashed? 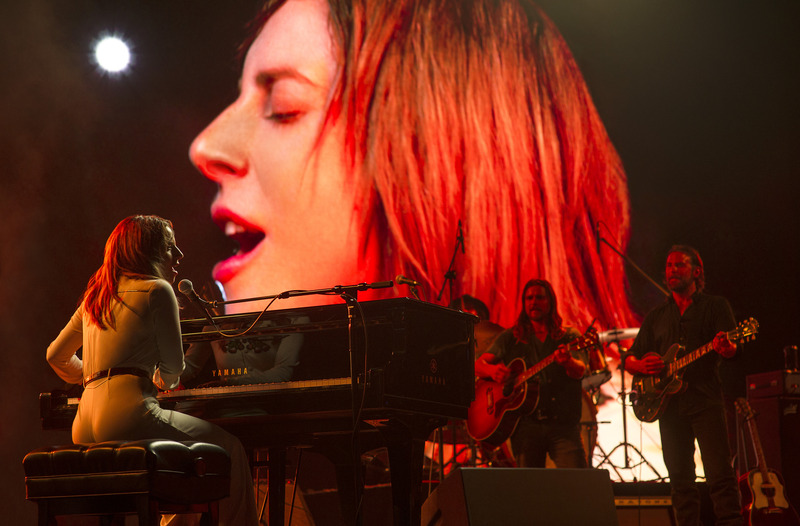 Lady Gaga takes the stage with the utmost confidence in A Star is Born (2018). Image: Warner Bros. These scenes fail to convince she is the artistic ingenue who painstakingly learns new skills to reach the pinnacle of success. It is all too confident, too neat. Then, we swiftly lurch into the part that I almost walked out on, what looks like an extended, sickly Gaga promotional ad. Ally transforms into a dyed-hair, outlandlishly costumed, ribald-lyric singer like…Lady Gaga! Her publicist Rez (Rafi Gavron) underlines this with the utmost seriousness when he says “people need to hear what you are saying”, the type of platitude fawning showbiz journalists would say to Gaga in real-life. If there were a more vainglorious stamping of ones own perceived greatness it is in these moments of the film. But, Cooper somehow manages to wrangle the Lady from herself and reigns in that navel gazing to just as swiftly bring the film back into focus…on the couple dynamic, which is where this film soars. “Two sides of the same coin”. 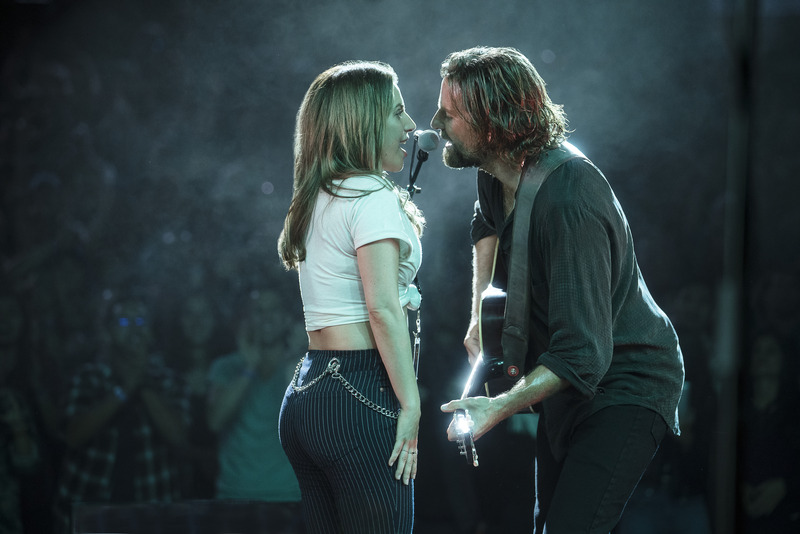 Ally (Lady Gaga) is given her first shot at stardom by Jack (Bradley Cooper) in A Star is Born (2018). Image: Warner Bros.
His descent into jealous depression as her star ascends, snorting cocaine before playing a gig, ironically at a Pharmaceutical convention and later wetting himself on stage as Ally receives a Grammy award, show the grubby other side of fame. Where it all goes wrong is presented as the same coin as the ecstasy when it all works. 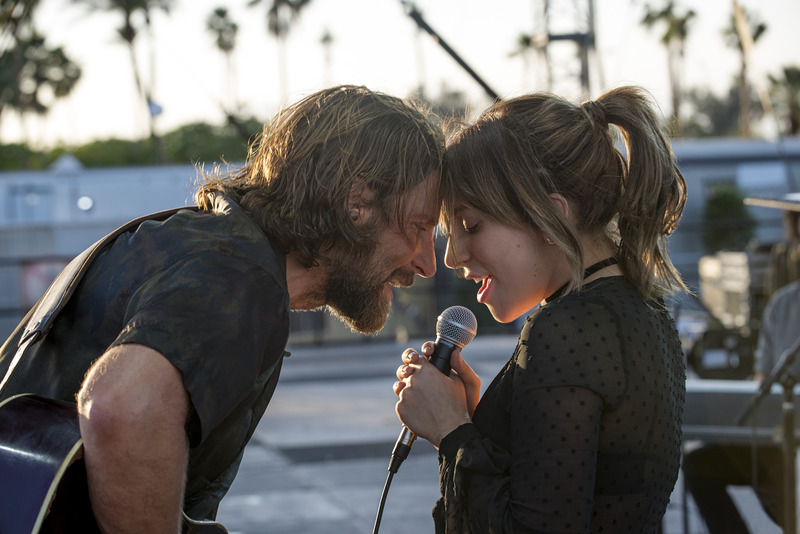 It’s here, its when these two performers, two sides of another coin, work together, that A Star is Born become the Oscar worthy picture it is touted as. Director: Bradley Cooper. 2hr 15mins (135 mins). Live Nation Productions/MGM/Peters Entertainment/Gerber Pictures/Joint Effort/Malpaso Productions/Thunder Road Pictures. Producers: Bradley Cooper, Bill Gerber, Lynette Howell Taylor, Todd Phillips. Bradley Cooper, Lady Gaga, Sam Elliott, Dave Chappelle, Anthony Ramos, Bonnie Somerville, Andrew Dice Clay, Michael Harney, D.J. ‘Shangela’ Pierce, William Belli.